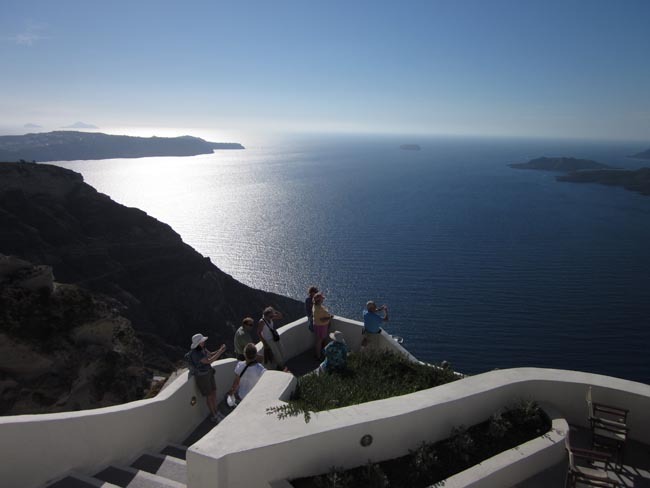 Greek Island Tours: join us on an exquisite, two-week adventure to experience the islands of Greece and discover lands of stellar landscapes, intriguing histories and abundant ancient wonders. 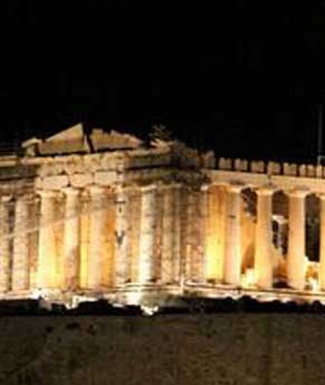 No tour that touches down in Greece would be complete without a trip to Athens, which numbers as one of the world's greatest cities for its striking blend of modernity with antiquity; if nothing else, the Acropolis and the Parthenon - often considered the finest monument of Greek civilization - are certainly not to be missed. 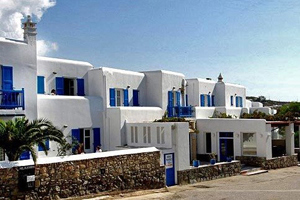 We have the chance to stretch our legs a bit on a walking tour through the winding streets of Mykonos Chora, where we can marvel at the striking architecture of the Parapotiani Church, and then it's off to explore the archaeologically significant island of Delos, which was once the political and religious seat of the Aegean. Our trip to Santorini brings with it the chance to experience donkey-treks or cable-car rides along the cast caldera rim and in Chania, we explore the narrow mediaeval streets and alleyways, discovering Turkish fountains and bathhouses, Venetian and Turkish houses, and delicious local delicacies in its legendary marketplaces. 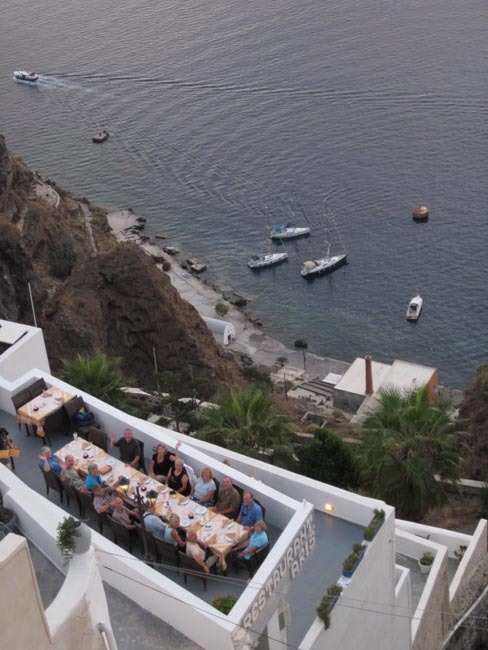 Our Greek Island tours are the best way to get a comprehensive overview of the entire area. 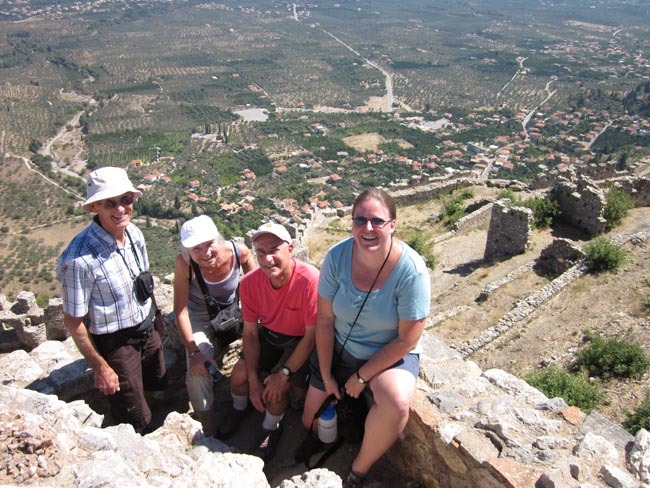 I enjoyed all of the excursions: amazing ingenuity and artistry in ancient times. I enjoyed the knowledge and personalities of all the guides. The meals surpassed my expectations, every dinner was like a feast. Our tour leader was cheerful and also showed a lot of caring for her travelers. WONDERFUL TOUR! Excellent tour. We are glad we signed up. We saw a beautiful part of the world, met interesting people. I was looking for a tour of a few Greek Islands, not by a cruise ship. Your itinerary was just what we were looking for and the choice of islands were just perfect. 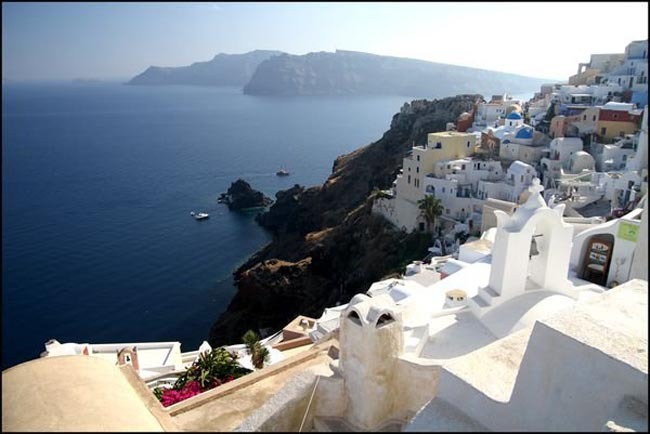 Santorini was fabulous. Crete was good but our stay was short, especially in Heraklion. Very good drivers, comfortable buses or vans. Our tour leader was exceptionally good. 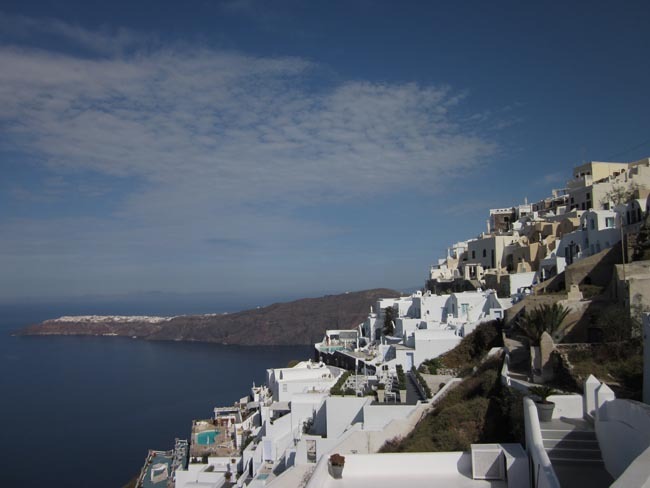 All tours were great especially Santorini, all were excellent - no changes necessary. 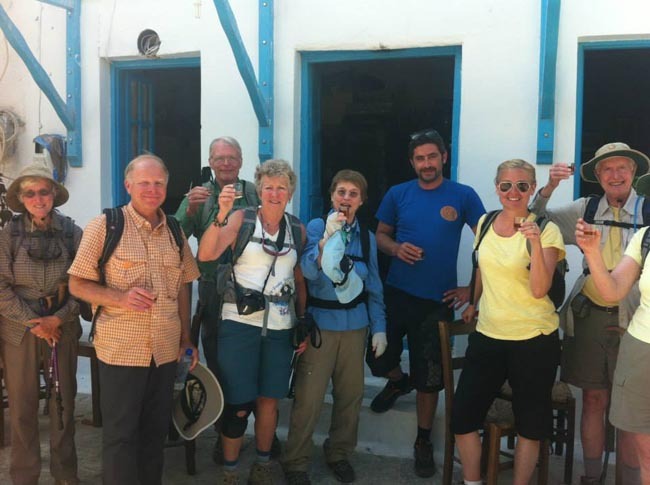 All were guides fantastic - very knowledgeable and personable. Excellent transportation service. The meal plan met my expectations and more - the food was incredible both in quality and quantity. Please give Serra a raise - she is the best - she made this trip one of the best experience of my life - great leader, well organized and very caring!!! Couldn't have been more happy with all aspects of the trip! The local guides were all good - spoke good English so we could all understand what they were saying. The food was very good. Our tour leader Serra was very amiable, considerate, helped each individual if need be- yet gave attention to all, very organized- always ahead of the game. She was a very fun person- day or night. Very knowledegble on the history of Greece.An excellent trip. Very, very good. Liked the small tour numbers aspect, as well as the age group same as myself. All my dealings with Adventures Abroad personnel at home and abroad was positive. Food was plentiful, all restaurants were good choices as far as I was concerned. I most enjoyed the archaeological sites like Akrotiri and Knossos. Wonderful learning experience! I know so much more now about mythology and history. I plan to do more study in these areas now that I have visited some of these sites and received such in depth knowledge of this part of the world. Great personal quality! Interested in each and every person on tour. Went to great lengths to insure that everyone got to do/see the particular things in which they were interested. Erin Howell is an exceptional guide. Today we travel by ferry or hydrofoil (depending on scheduling) to Crete. Crete is the largest and most southerly of the Greek Islands, blessed with a magnificent setting of rugged coastal scenery and warm waters. 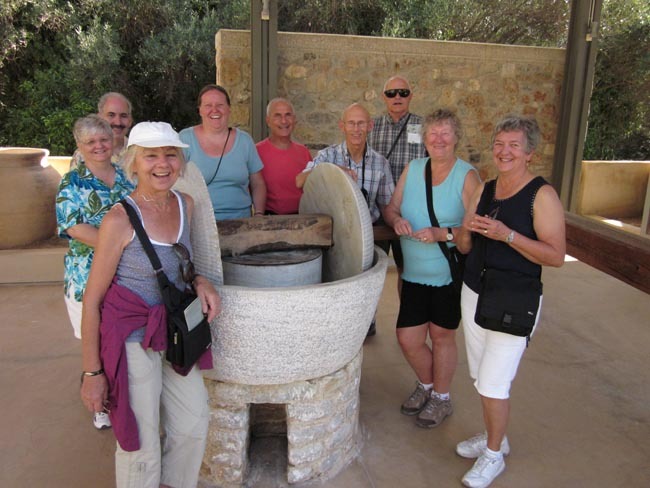 On arrival we will have an easy walking tour of central Iraklion,* including the impressive St Titus Church, Morosini Fountain and other Venetian legacies. The massive walls that surround the town of Iraklion were built by the Venetians in the mid-15th century. *NOTE: Ferry schedules may require that we have our walking tour tomorrow. Early this morning we travel the short distance to Knossos where our local guide will show us the ancient palace of King Minos, first built around 1900 BC. In 1700 BC it was destroyed by an earthquake and rebuilt to a grander and more sophisticated design. The city of Knossos consisted of an immense palace, residences of officials and priests, the homes of ordinary people, and burial grounds. The Palace, which covered an area of 22000 sq m (236,682 sq feet), consisted of royal domestic quarters, public reception rooms, shrines, workshops, treasures and storerooms around a central court. Knossos was excavated by Arthur Evans between 1900 and 1930. We also visit the Archaeological Museum in Iraklion, one of the best museums in Greece. The exhibits, collected from excavations carried out in all parts of Crete, come mainly from the prehistoric era and form a valuable record of the artistic, social and economic life of the island during the ancient period. This afternoon we will proceed to the Lassithi Plateau, one of the highpoints of Crete, both in altitude and atmosphere, for it is unique: a green carpet hemmed in on all sides by the Díktean Mountains, snowcapped into April and irrigated in summer by windmills. As the excavations carried out on various sites have shown, this inaccessible area has been inhabited since Neolithic times. The plateau was also farmed by the Minoans and later by the Dorians. In 1293, however, it was such a nest of resistance that the Venetians forced everyone out and demolished the villages. We leave Iraklion today and travel to Chania via Rethymnon. The old town here still retains its original aristocratic appearance, with buildings dating back to the 16th century as well as Byzantine and Hellenistic-Roman remains and a small Venetian Harbour. We will have some time here to wander and explore and soak up the charming atmosphere. 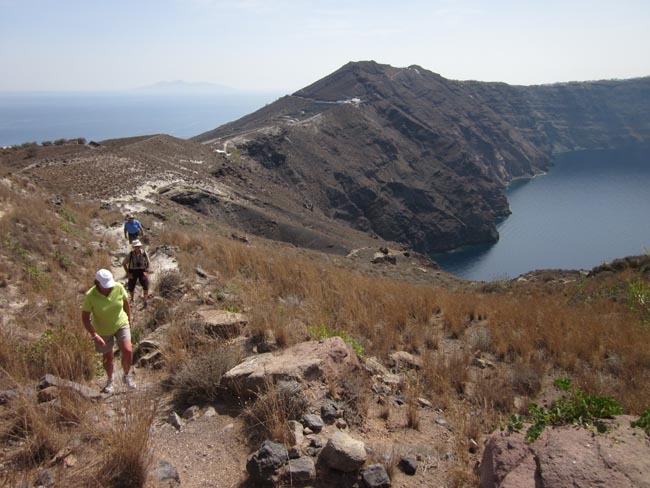 We then continue to Chania via the Akrotiri Peninsula, which rises just north of the bay of Suda, one of the biggest natural harbours in Greece. This peninsula east of Chania was once called Kiamon, and today is associated with the liberation struggles of Crete. 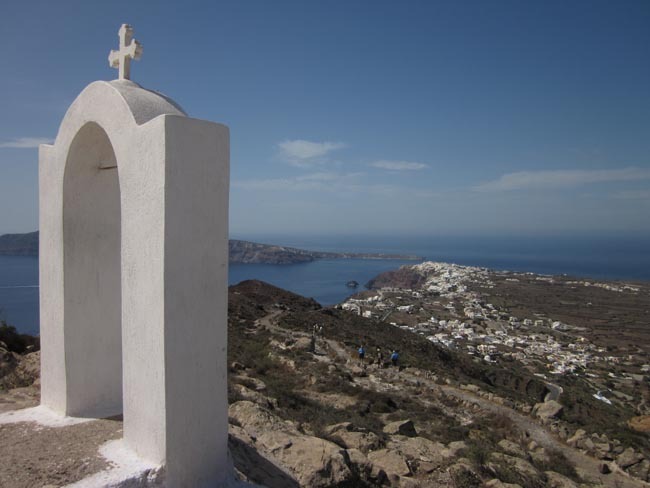 While on the peninsula we will visit the monastery of Agia Triada, originally built in the 17th century. 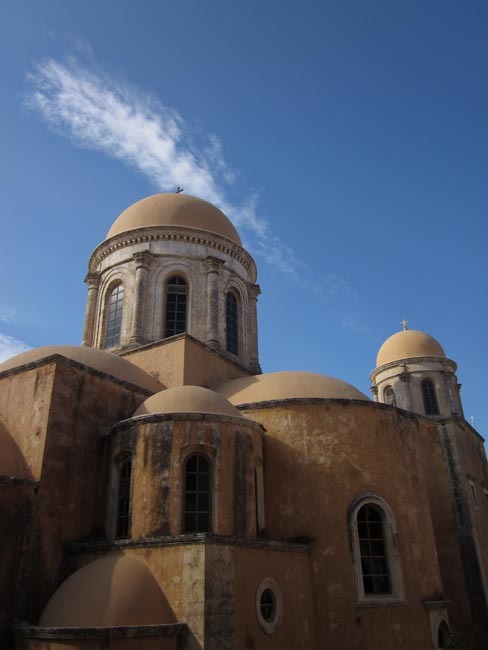 Today it is one of the few monasteries in Crete where monastic life is practiced. Chania is a former capital of the island and the site of the ancient Minoan city of Kydonia. In the 13th century, Venice was becoming the maritime master of the easter Mediterranean. At Chania they built large fortifications against pirates and the Ottoman Turks. Eventually, though, the Ottomans took Chania in the mid-17th century. 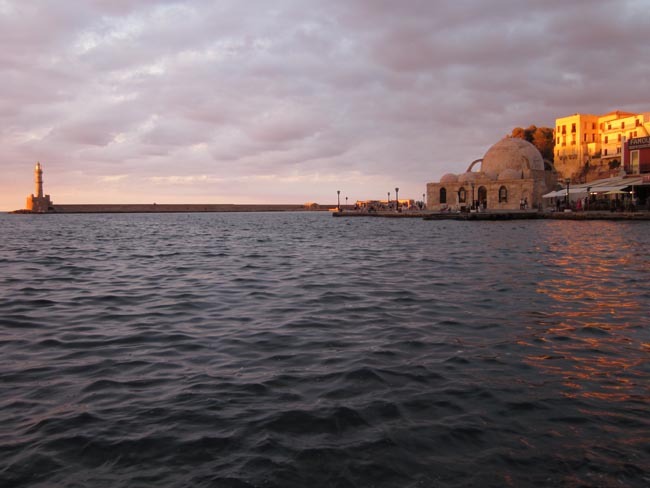 Today many regard Chania as Crete's most beautiful city. This morning we have a walking tour of Chania. During our tour of the old town of Chania, we will pay a visit to the Archaeological and Folklore museums and explore the wonderful labyrinth of narrow streets in the historic quarter. We will discover "lost" Turkish fountains and bathhouses; quaint mediaeval back streets and alleyways; Venetian and Turkish houses; mosques, churches, fortifications, old tradesmen's shops and a host of other gems that are the secrets of this Greek city. The covered food market is outstanding with many traditional products such as cheese, honey, herbs, fresh fish, meat and produce. Your afternoon is free to enjoy Chania, one of the most picturesque cities in Greece. 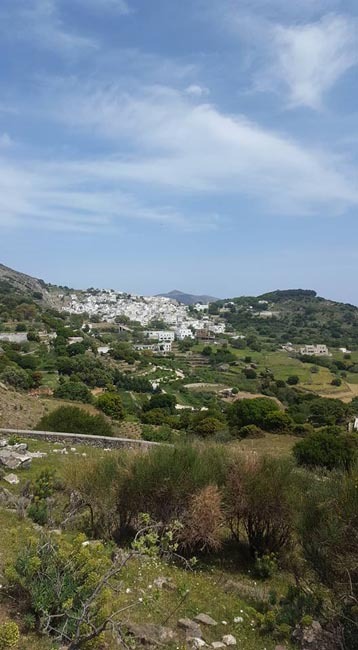 Today you may choose to continue your explorations of this charming town, visit the beach, or rent a car (international driving permit NOT required; bring your home driver's license) and further explore the hinterland of western Crete on your own. As you drive around the island, you can turn off the main road almost anywhere and find people in agricultural villages going about their daily routine. Your Tour Leader can help you plan your day. Later this evening we transfer to the port for our overnight ferry to Pireaus, the port of Athens. The ferry is very comfortable with each cabin having two side-by-side beds and private facilities. Early this morning we arrive in Athens. 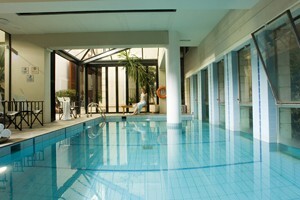 * The balance of the day is at leisure to enjoy this lively city. An excellent option today is a day trip to the beautiful archaealogical site of Delphi (for those who have not already visited on other tour options), or to the classic Peloponnesian sites at Corinth, Epidaurus and Mycenae. Your Tour Leader can help organize these full-day excursions. We also recommend a visit to the National Archaealogical Museum, accessible by subway. * Please note that our Athens hotel rooms may NOT be ready for us this early in the day. Your large baggage will be securely stored; you might want to prepare your day pack ahead of time. 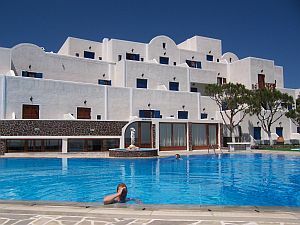 The well-known Atlantis Hotel is situated right in the town center and commands a spectacular view of the harbour. All ...	feature air conditioning, satellite TV, fridge, mini bar, spacious veranda, phone, and hairdryer. 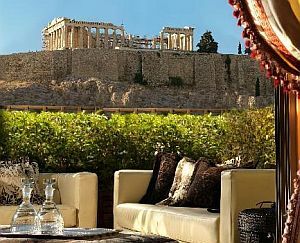 A 6-minute walk from the Archaeological Museum of Chania, this upscale hotel is 8 minutes' stroll from Paralia Koum Kapi ... Low-key rooms with a mix of classic and modern elements feature floor-to-ceiling windows and balconies. They include free Wi-Fi. Local ferries between mainland / islands can range from hydrofoils to large vehicular vessels--all bookings in economy class. Greek ferry schedules tend to change without notice; some itinerary adjustments may be necessary at the discretion of your Tour Leader. 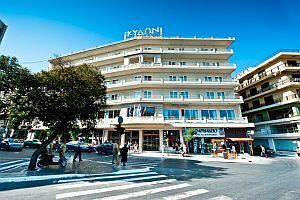 Well-located, air-conditioned, mid-range hotels (3-star) throughout. Island hotels are smaller properties (3-4 story) that will likely not have elevators. All hotels have en suite bath, though most have shower only. 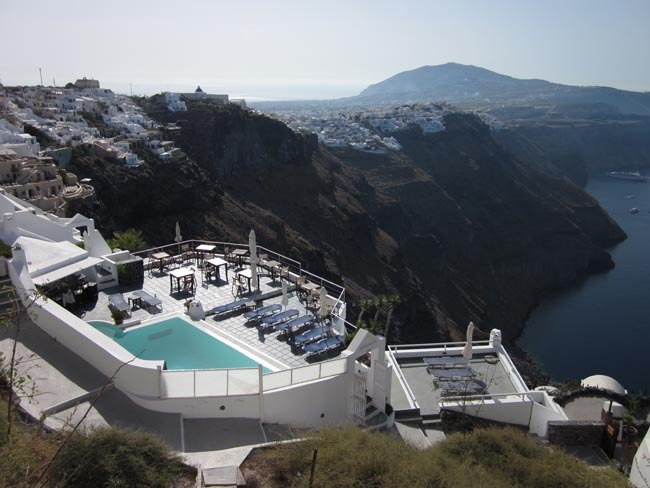 A special note about Santorini, which is primarily a luxury tourism destination and, while we can confidently promise our visit will be fulfilling and rewarding, one's hotel expectations must be in line with our overall purpose, which is sightseeing and cultural experience and not focused on the "hotel experience" per se. Single rooms are limited and likely smaller than twins. Overnight ferry 2-person cabins with a/c and en suite toilet / shower (singles available).